Salmon skin cooked right is not only a flavor-bomb, but also a textural delight. But are there any health effects you should be aware of? That being said, researchers have also found that farm raised salmon tend to have higher concentrations of PCBs (Polychlorinated biphenyls - industrial products or chemicals) than wild fish. And while there are some health concerns about eating salmon skin, there are certainly health benefits as well. 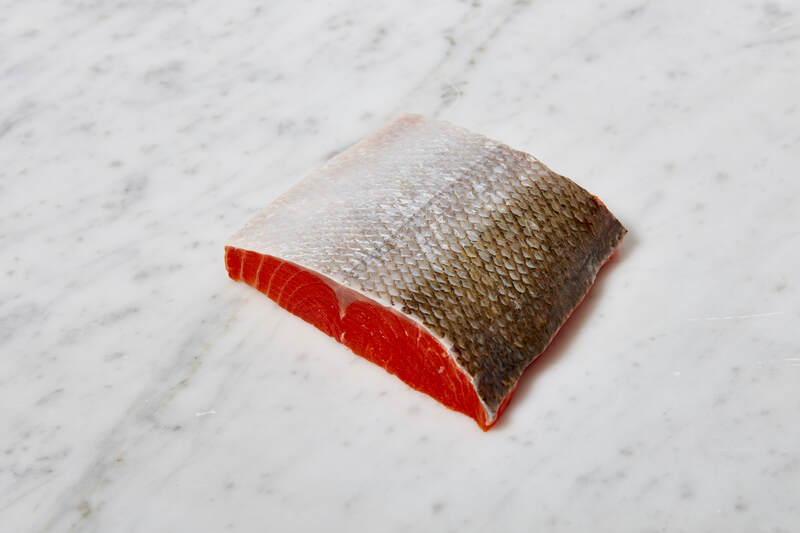 For instance, the highest concentration of omega-3 fatty acids is in the skin of the fish. Omega-3 fatty acids are wellness powerhouses for a number of reasons, treating health issues such as inflammation, brain development and heart conditions. The best way to create a crunchy and delicious skin is by pan-frying the fish. Be sure that you rinse the fish first, put pat it dry so that there is no residual moisture before you put it in the pan. Searing the fish at a high temperature will not only create a tasty skin, but will lock in the moisture so the rest of the filet is juicy.